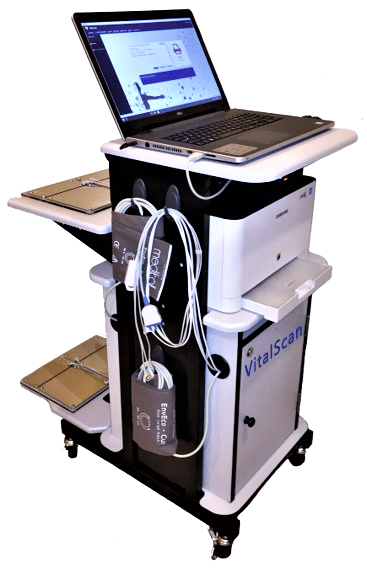 Photoplethysmograph (PPG) is measured using a non-invasive, radiation-free platform. This proprietary test system was developed by QHRV and utilizes a biosensor finger probe to collect data. The patient is then asked to perform a series of controlled breathing exercises. The coronary respiratory response (CRR) is derived from spectral analysis of the PPG signal during instructed breathing. Therefore, the diagnosis, and subsequent resolution, of Significant Coronary Artery Disease (S-CAD) has been advanced significantly by QHRV. 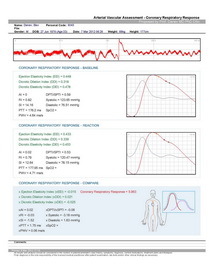 The QHRV coronary artery respiratory assessment (CRA) enables cardiologists to detect early-stage CAD in order to prescribe treatment, lifestyle changes and pharmaceutical interventions. 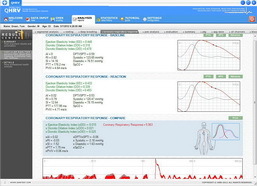 QHRV CRA testing can easily be performed in a standard office, hospital or clinic setting. Readings are obtained non-invasively at a low cost and low risk to both patient and health care services. Measurements are processed into reliable and reproducible results made available to the specialist using a secure online platform. The non-invasive tests currently used to test for coronary artery disease are typically time-consuming, expensive, sophisticated and may expose patients to undue ionizing radiation. It has also been suggested that respiratory maneuvers and imposed circulatory tests be used in diagnosis. 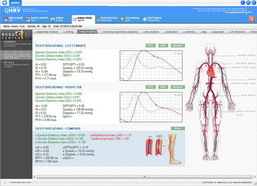 QHRV coronary artery assessment uses non-invasive, affordable technology to deliver reliable results. QHRV has extracted important elements form all of these tests and distilled them into a simple and effective platform. The test is performed non-invasively during a 60 second deep breathing exercise at a pace of 0.1 Hz. The resulting measure is an inclusive and highly innovative test which uses photoplethysmography (PPG) pulsewave (PW) to derive important prognostic data.